You might’ve noticed that it’s becoming very popular for people to build granny flats behind or beside their existing home. The main reason is because house prices have doubled in Sydney over the past eight years, leaving homeowners with the ability to refinance their home to build a granny flat. Here are three reasons you should build a granny flat at the same time as your new home and not wait for the next market rise. 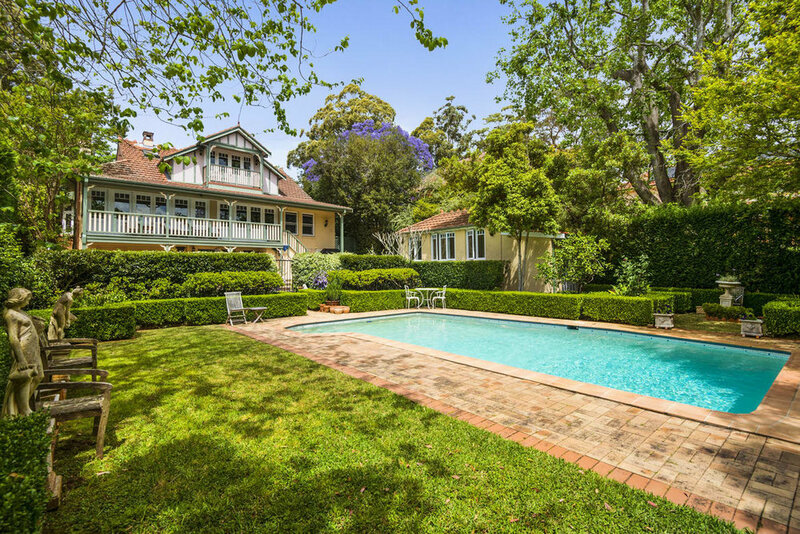 For sale: 24 Lang Road, Centennial Park, NSW – The crème de la crème of granny flats, this dual-level detached pool house contains a cinema room, bedroom, bathroom and kitchenette. This is particularly applicable if you want your granny flat to have a slab foundation. Adding an average granny flat to the build of your new home will cost you around $75k to $100k but building the same granny flat on its own can cost upwards of $130k. Building the granny flat at the same time means that you save money in several ways. For sale: 16 Lancewood Road, Dural, NSW – The ‘multipurpose cabana’ on the right includes a kitchenette, bathroom, loft bedroom and large studio space. Firstly, you only need to complete one application for the whole development. If you decide to build the granny flat later, it’ll mean paying and waiting for a complete second application. If you fully intend on building the granny flat, it’s more efficient and economical to simply apply to build both in the same application. Secondly, it costs the builder less to build the granny flat at the same time and they do pass that saving onto you. This has a lot to do with the costs of getting materials delivered. The suppliers deliver the materials for both the granny flat and the home at the same time saving them and more importantly you thousands of dollars. For sale: 77 Nicholas Street, Newtown, VIC – This modern granny flat contains a bedroom, bathroom, living area and storage. Once you’ve built your main home, there’s often restricted access to the area where you plan on putting the granny flat. There may still be a footpath and you might even have a driveway, but there may not be great access for bulky deliveries. This can add time to the build and might add different costs like crane hire, traffic control, and additional wages for the extra time the trades are required on site. These additional costs can be avoided if the new home is being built at the same time. For sale: 815 Heidelburg Road, Alphington, VIC – This cosy granny flat provides a handy fourth bedroom or rumpus space to this property. Granny flats can be a great source of income! 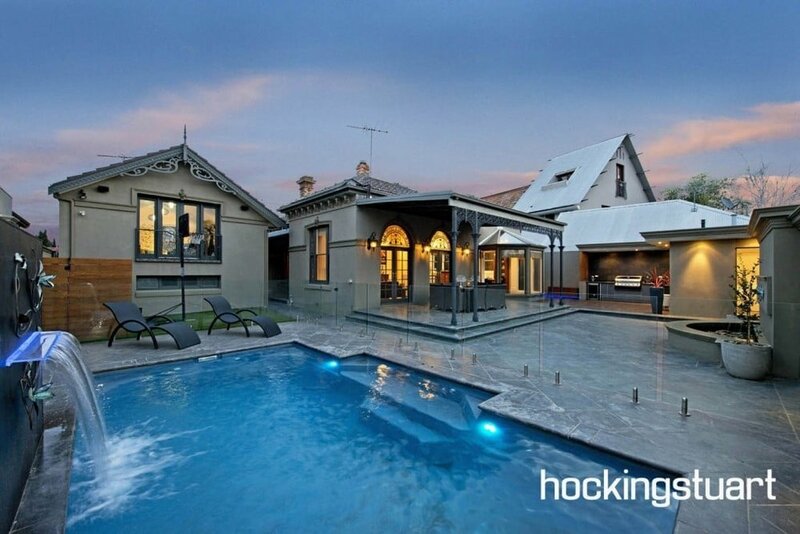 Renting in Sydney is very common in the current climate. A two-bedroom granny flat can bring in upwards of $300 per week. Building it with your main home means that you can get some renters in just weeks after you move in yourself. The return on investment is often very good and may be a great way to offset some mortgage stress. For sale: 6 Grosvenor Street, Wahroonga, NSW – This sweet little granny flat would be perfect for a teenage retreat or extra bedroom. It features living space, a bathroom, kitchenette and storage. Whether you’re thinking of building a granny flat for family to live in or as an investment, it’s more economical to build the granny flat at the same time as your main home. Not only does it save you money but you can reap the reward of rental income sooner. For more ways to add value to your home take a look at these garden upgrades that’ll add value, five of the best investments you can make for your home and three ways to add value to your home. Daniel Simone is the General Manager of Simone Homes. He believes the foundation of every family is the home and is passionate about building them. Proudly family owned and operated, the team at Simone Homes have been building bespoke homes for over 35 years. Follow Simone Homes on Facebook and Instagram. Great article … huge benefits for young families willing to share their lives with ‘baby boomer’ parents, friends or relatives. It is really a wonderful article. All three reasons are too good and more effective. I agree with your all specific reasons for building granny flats. It helps us more. Thanks for your nice sharing. Thank you for this infos! Great help! Amazing read! so much good information, keep it up! Really it is a great article and more helpful to get the best assistance for build a granny flat. I am very glad to go through this kind of helpful blog. Thanks for sharing a nice blog.